Several new clean technology indices were announced over the last month. The Cleantech Capital Group’s CleanTech Index (CTIUS) launched on the American Stock Exchange this week. In January, Cronus Capital Markets (CCM) and the International Securities Exchange launched the ISE-CCM Alternative Energy Index (POW). ISE is the largest equity options exchange in the world. WilderShares announced it is launching a global clean energy index—the Clean Energy Global Innovation Index (NEX) —together with New Energy Finance. WilderShares introduced the first cleantech index, the Wilderhill Clean Energy Index (ECO), in August 2004 on the American Stock Exchange. Closely tracking the emergence of cleantech indices is the trend toward exchange traded funds (ETF). In February 2005, PowerShares launched an ETF that tracks the WilderShares index, the $250 million PowerShares WilderHill Clean Energy Portfolio. WilderShares also plans to launch an ETF to track the new global fund. 2005 saw a movement of socially responsible investment funds into exchange traded funds. 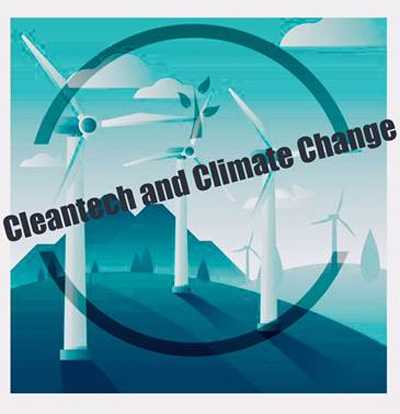 Clean technology funds are expected to follow and may be the better place to put your money. An article this month in Ethical Investing suggests that investors who apply more than one social screen to SRI investments tend to see poorer performance. In other words, the number of social screens is closely correlated with returns. The PowerShares Wilderhill ETF is up 70 percent since its inception a year ago. In contrast, SRI funds are up 11.3 percent and the Standard & Poor’s 500 Index 10.3 percent over the same period. Australia’s Ceramic Fuel Cells Limited listed on the Alternative Investment Market this week. CFCL makes solid oxide fuel cells for use in combined heat and power (CHP) applications. The company’s plan is to capitalize on the attractive subsidies for residential CHP systems in Europe by locating a plant in the north of England. In the meantime, Ceramic Fuel Cells is diversifying its revenue streams. It has just partnered with Precision Flow Technologies to manufacture and market fuel cell test systems. What is notable about this initial public offering is the number of large investors. Over 90 institutional investors participated in the oversubscribed deal, which raised $65 million. All in all, investors were in love with residential fuel cells this week, an early commercial market. Ballard Power Systems was trading high ahead of reporting a 1 1/2 fold increase in sales to the power generation market. It markets the leading natural gas powered fuel cell used in residential cogeneration applications in Japan. Ballard’s 1kw fuel cell captured 43% of the Japanese market in 2005. Following up on my microwind power posting last week, some of you asked how you can invest in this sector. Of the 10 companies mentioned in the article, only Clipper Windpower is public. The California-based company began trading on the Alternative Investment Market (AIM) in London as CWP in 2005. And that brings me to my next topic, the Alternative Investment Market (AIM). The listing last week of Biodisen Biotech, a Chinese maker of environmentally friendly fertilizers and pesticides, is a sign of AIM’s growing attraction to clean technology companies. More Chinese cleantech is venturing abroad. Notably, Chinese solar company SunPower (NYSE: STP) was the top technology IPO last year. The AIM difference is that the subsidiary of the London Stock Exchange has become the place for earlier stage, entrepreneurial companies to gain access to the public market. There is no minimum listing requirement or outside regularly review on AIM. In addition to Clipper Windpower, other US-based clean technology companies listing on AIM over the last year include Polyfuel (PYF.L) and Solar Integrated Technologies (SIT.LN). All of these IPOs were oversubscribed. In 2005, KPMG reports that UK initial public offerings were up 40 percent to 307 in 2005 over 2004, reaching 2000/2001 levels, while US IPOs fell 14 percent to total 206 deals. Of the UK IPOs, 207 were on the AIM market and 20 on LSE’s main market, raising £3,442 million and £5,091, respectively, reflecting the smaller sized deals on AIM. Although AIM may be better known for its junior mining and oil exploration companies, more clean technology companies are expected to take advantage of the strong appetite for IPOs in Europe. Other cleantech companies venturing to Europe’s AIM include Australia’s Ceramic Fuel Cells Ltd. (ASX: CFU) and another microwind power IPO is rumored. It is worth noting that microwind turbine makers like Bergey Windpower and Southwest Windpower have been installing their wind turbines throughout the world for almost two decades. We may also see some new wind issues on the big boards. Wind turbines are going urban. Micro-wind turbines (up to 3 kW) aligned in rows on top of city buildings may not only prove to be cheaper than large-scale wind turbines but could soon compete with low-cost nuclear power. Global sales of large-scale wind turbines, 500 kW and above, are growing at an average annual rate of 30 percent plus. Analysts expect the growth rate of micro-wind turbine sales to quickly eclipse that of other renewable energies. The small-scale wind sector is receiving a lot of attention as cities such as Manchester, England begin to install the first micro-wind farms on rooftops. In the United States, a recent C-Net article states that Chicago, Illinois-based Aerotecture is in negotiations to place micro-wind farms on top of the Daley Center in Chicago and under the Golden Gate Bridge in San Francisco. Additionally, Atlanta, Georgia-based Ecoloft will be the first condominium development powered by wind. Some of the companies gearing up to harness urban wind include Abundant Renewable Energy, Bergey WindPower, Clipper Windpower and Southwest Windpower. The CNet article also mentions Windside (Finland), Windsave (UK), Renewable Devices (UK) and Urban Turbines (Dutch). In reality, the United States has been hedging its oil exposure for many years with billions of dollars in investments across a wide range of alternative energy technologies. However, in announcing the Advanced Energy Initiative, which plans to up investments in clean energy research by 22 percent, the president’s main focus was on weaning America off its oil dependence by upping its use of ethanol to fuel automobiles. America’s corn belt has been an enthusiastic promoter of ethanol derived from corn, but the government also wants to develop a market for cellulosic ethanol, the non-food parts of grains and other cellulosic material—such as “wood chips, stalks and switch grass”—that can be produced and burned with lower pollutant emissions and at a lower cost. The objective is to see the price of cellulosic ethanol competitive with gasoline within six years. While ethanol-related stocks soared upon the early release of the State of the Union Address and Bush’s ethanol plug, there are, in fact, few pure ethanol plays. Nonetheless, the media has been abuzz with ways in which investors can get an ethanol fix. Cellulosic technology—Fortune magazine cites several biotech companies that are improving the cost and efficiency of producing ethanol with low-cost enzymes that speed up the fermentation process. It is not easy for the individual investor to invest directly in these companies today. Genencor went public in 2004 but is now part of Danish food and feed producer Danisco. Canada’s Iogen Corporation is partly owned by Royal Dutch Shell, clearly an oil over an ethanol play. However, do not be surprised to see spin-offs and IPOs to tap the growing potential in ! the bio-enzyme market. It is a safe bet that BC International, part of Vinod Khosla’s growing ethanol venture capital portfolio, Khosla Ventures, is being prepped for a private sale or public offering. Biorefineries-Pacific Ethanol, the only biorefinery pure play, was the media darling Monday as it soared ahead of the president’s address. It also was the first stock to fall amidst the profit taking in alternative energy-related stocks that followed. It may be worth riding out the volatility, though, as the West Coast’s largest ethanol producer brings five more plants online. Farm equipment-MSNBC has been sweet on Deere (DE) and Agco (AG) this week; both companies expect to see high demand for the machinery that plants and harvests biofuel feedstocks. Corn and ethanol marketers- High oil prices and advanced technologies that are driving down the costs of producing ethanol will continue to contribute to attractive margins. The best ethanol play is likely grain futures. Ethanol futures this week were moving on hard supply and demand numbers rather than the presidential-speak that boosted alternative energy stocks. The Chicago Board of Trade launched a corn-based ethanol futures contract in 2005. This blog does not endorse the specific stocks mentioned. Stocks are cited for the express purpose of supporting the discussion of general investment trends.